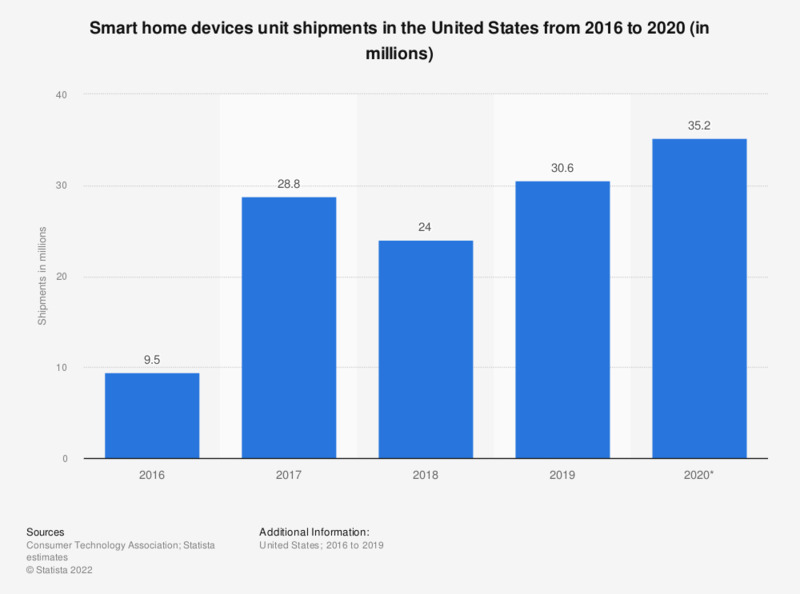 The statistic shows the smart home device unit shipments in the United States from 2016 to 2019. In 2019, smart home device shipments are projected to amount to 29.4 million units. 2017 and 2018 figures were calculated by Statista based on initial figures provided by the source. Which connected consumer products or smart home solutions do you, or someone else have in your household? What was your motivation when you first bought an intelligent/connected device?